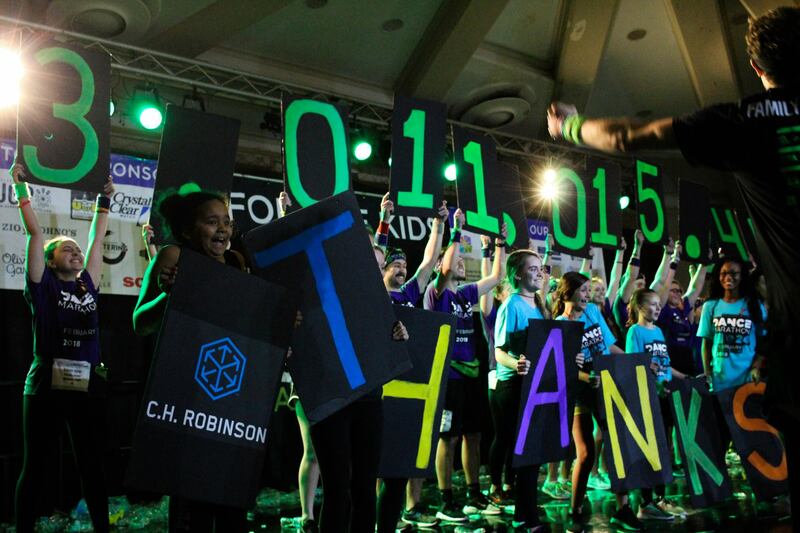 Dance Marathon Involvement: I have been a member of University of Iowa Dance Marathon for four years. During my first two years, I was a Dancer. In my third year, I was a member of our Hospital Committee. Through my role, I had the unique opportunity to volunteer on the pediatric oncology floor of our children’s hospital. As a volunteer, I got to play with the Dance Marathon kiddos, meet the families, and bring the mission to Dance Marathon to them. For my fourth and final year, I had the absolute honor of serving as the Executive Director. During my four years, I personally fundraised $8,400 for the University of Iowa Stead Family Children’s Hospital. Campus/Community Involvement: Outside of Dance Marathon, I am a member of the University’s all male acapella group, Intersection. I have been a member of the group for four years, serving as the Events Director in the past. I continue to volunteer at the hospital following my time on the hospital committee. When I am not involved on campus, I work at an before and after school program as a member of the childcare staff. Awards/Recognition: I have been named to the Dean’s List six of my seven semesters (on track to be seven of eight following this semester) for achieving a minimum of a 3.5 GPA. I was also awarded the Old Gold Scholarship and Iowa Scholars Award by the University of Iowa for my academic achievements. 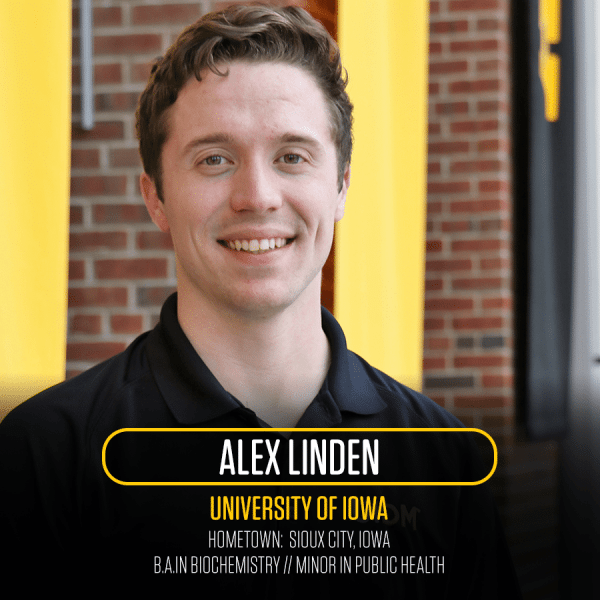 Post-Graduation Plans: I was accepted into the University of Iowa College of Dentistry, but I am deferring and taking a gap year to explore some other interests and opportunities. 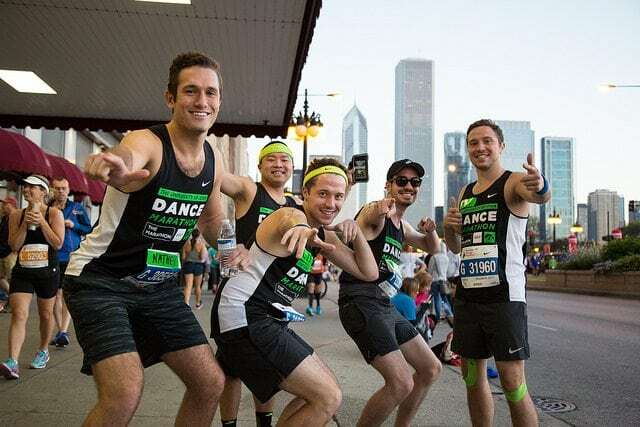 Alex and members of UIDM running in the Chicago Marathon to fundraise for the 2018 Dance Marathon. In high school, I was involved with a lot of service groups, so I developed a passion for giving back. When I stepped foot on Iowa’s campus my freshmen year, I immediately began looking for a community that shared a goal to make a difference. Dance Marathon was the obvious choice, but as a freshman, I completely underestimated just how large of an impact Dance Marathon made. During my first year, I heard dozens of families explain just how important Dance Marathon was to them and how these students changed their lives. I can remember a family saying that even after their son had died, Dance Marathon has allowed the memory of their child to live on. In that moment, it hit me. To be in Dance Marathon is to be surrounded by good people, people who want to change the world, so I returned for the next three years at college. In the successive years, I joined the leadership team and developed leadership skills that were totally unique to campus. Participating in Dance Marathon allowed me to make a difference and grow as a person, and that’s why I stuck with it for all four years. My experiences as a student leader in Dance Marathon helped me develop skills that I will carry with me into my professional life. One of the most important things I gained from Dance Marathon was the confidence to try something new, to break from tradition. Dance Marathon is very rich with traditions, but my team and I believed progress would be impossible without change. We were often met with fantastic results. Confidence in our beliefs allowed us to reach new levels. At the same time, not all changes were successful, so we had to accept that failure was inevitable. My favorite skill that Dance Marathon helped develop was public speaking. The opportunity to deliver a message in a captivating and motivating way is so exciting to me. After delivering dozens of public speeches, I no longer get nervous when addressing a large crowd. Rather, I get excited. Since we have wrapped up our year, I have been asked to speak at over half a dozen events, including an event in Des Moines in front of state legislators, about Dance Marathon and the UI Stead Family Children’s Hospital. 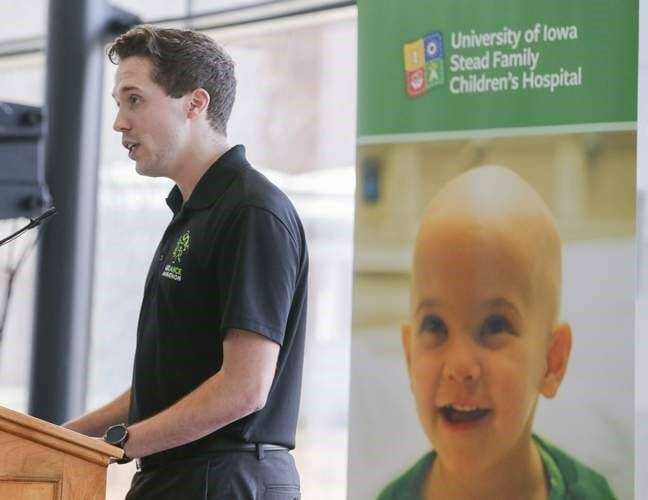 Alex speaking at an event at the University of Iowa Stead Family Children’s Hospital. One of my biggest goals as the Executive Director was to change the culture within Dance Marathon by reviving the sense of community between all parties. Whether they were a Dancer, Leadership member, Mini program, sponsor, external partner, or donor, I wanted everyone to feel like they belonged and were valued. I knew that I had to lead by example in order to establish trust and faith in the mission. This goal couldn’t be accomplished in one day. It would require a lot of small actions throughout the year that would eventually go a long way.These small actions included learning every single member’s name on the three-hundred-person leadership team or volunteering at every single event regardless of how busy I was. I strongly believed that knowing everyone’s name and being present at all times sent a very important message: you are appreciated. I also made sure to celebrate everyone’s accomplishments, big or small. The small victories would add up to the final, big victory. Though these were all incredibly important, the most important thing I did was make every moment fun. Whether it was a long meeting or a recruitment event, I brought energy and positivity. I tried to bring about everything I wish I had in my previous year to make the year a better experience for everyone.My proudest moment this year was when one of our leadership members approached me and said, “Alex, I wasn’t going to apply to be on the leadership team, but I wanted to give you a chance. I can honestly say that you restored my passion for Dance Marathon.” This may seem minimal in the grand scheme of things, but to me, it meant the world. It meant that I had achieved my goal. UIDM broke records this year. We were the second school to ever raise $3 million in one year. We had the highest recruitment numbers in our history. We raised over $400,000 in 24 hours. We increased sponsorship donations by 230%. Our leadership team broke a fundraising record with over $650,000 raised. There are a lot of numbers that I can be proud of, but without intentionally making a culture change, the successes of this year wouldn’t have happened. Breaking records was just a byproduct of making people feel valued. Alex on stage at UIDM’s event in February 2018. I encourage students to participate in Dance Marathon with the hopes that they will have a similar experience as myself, but at the same time, find a passion that they may have otherwise never found. College is a very challenging time, so it is so important to find that support system that lifts you up when you are down and challenges you to be your best. Dance Marathon can be that support system. Though it may be considered a “student organization”, I found it to be a community made up of my best friends and incredible leaders. The opportunities to grow as a leader, not only on campus, but on a national level are rife. The movement transcends the school, and the impact is felt by hundreds of families. Finally, people should participate in Dance Marathon because it is fun. Whether it’s interacting with young children or dancing for 24 hours straight, it energizes and inspires you. It very well could define your four years at school. It sure did define mine. 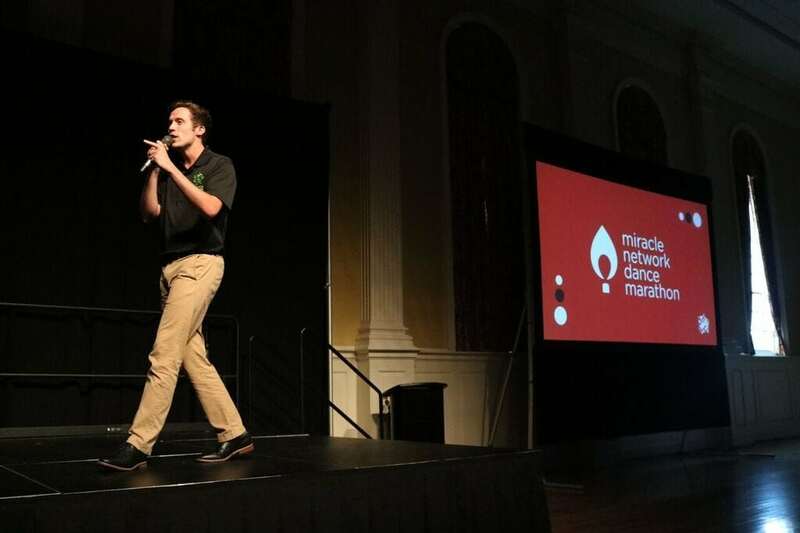 Alex presenting an educational session at the national Dance Marathon Leadership Conference in 2017. UIDM’s 2018 fundraising total reveal.